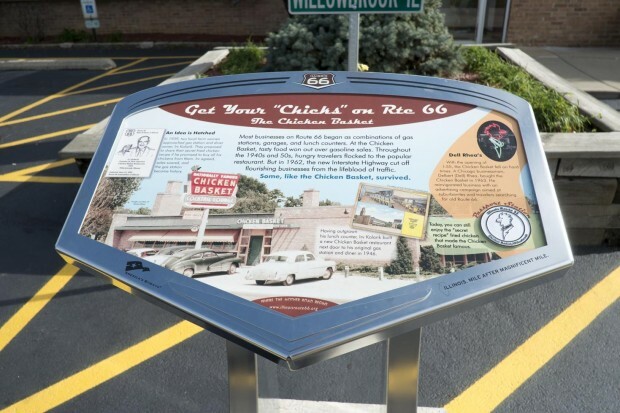 In 1946, Nat King Cole first sang, “Get your kicks on Route 66.” That same year, the Chicken Basket opened its doors at the corner of Route 66 and 79th Street in what was then rural Hinsdale. 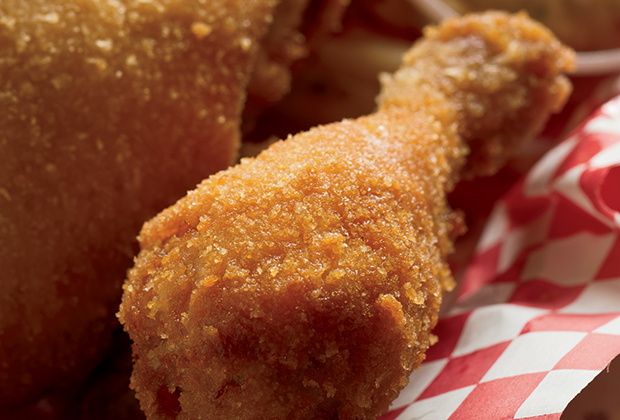 “We take great pride in providing quality food, made fresh and at a fair price,” says Patrick Rhea, current owner of the Chicken Basket. He learned this lesson from his parents, Dell and Grace, who bought the restaurant in 1963. The restaurant’s ties to the automobile began even earlier. 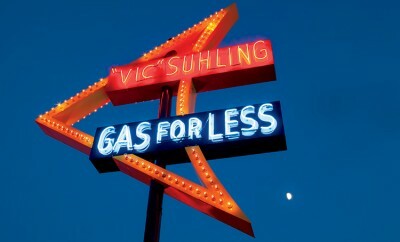 Founder Irv Kolarik managed a gas station on the property next door to the current Chicken Basket. In those days, families had only one car, Rhea says, so while it underwent repairs, they had to wait at the gas station. Kolarik put in a small counter to serve pie, coffee and cold sandwiches. Two local farm women suggested he turn the gas station into a restaurant. They said they’d provide their fried chicken recipe if he purchased his chickens from them. He agreed, and the Chicken Basket was born. 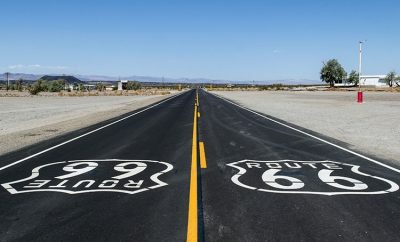 When the Rhea family bought the restaurant almost 20 years later, Interstate 55 had just opened, changing the traffic pattern on Route 66 overnight. The former main highway – a perfect stop for hungry travelers on their way to and from Chicago – quickly became a quiet back road. The change in traffic didn’t deter Dell Rhea, a well-known local businessman who had served as the executive director of the Chicago Convention and Visitors Bureau. 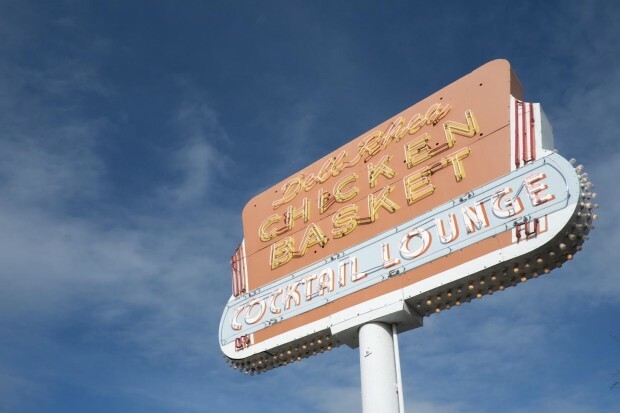 He bought the Chicken Basket from the bank, put his name on it and worked to attract customers who appreciated home-cooked food and friendly service. Fifty years later, his son carries on that tradition in the same building, now on the National Register of Historic Places, with the same sign, the same fried chicken recipe and the same determination. But a few things have changed. 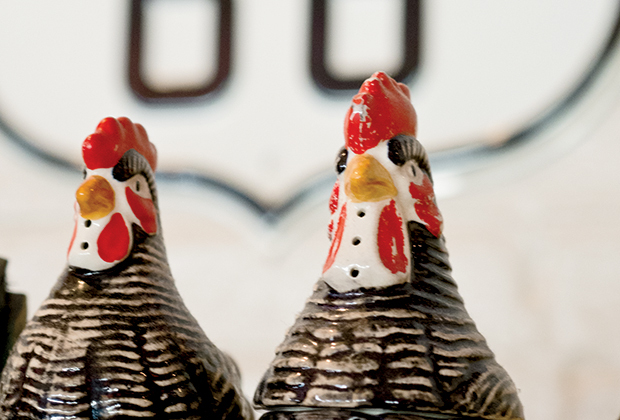 Rhea estimates that they cook about 2,000 pounds of chicken a week to serve the lunch and dinner crowds that flock to the Chicken Basket. 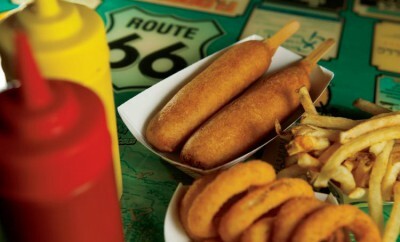 It may be off the beaten track, but people come because they know they’ll get a delicious, fresh meal, says Rhea. Not to mention a taste of history. Hours: Tuesday through Thursday and Sunday, 11 a.m. to 9 p.m.
Friday and Saturday, 11 a.m. to 10 p.m. I saw this link in my Partners magazine and tried to enter for a chance to win one of the $25 gift certificates. The website would not work. I came to the Partners website and tried to enter and again it would not work. Sorry you were having problems with the link! We fixed the problem, so try again at this site: http://www.ilfbpartners.com/chickenbasket/. You should be able to enter the contest there. Hope this helps!